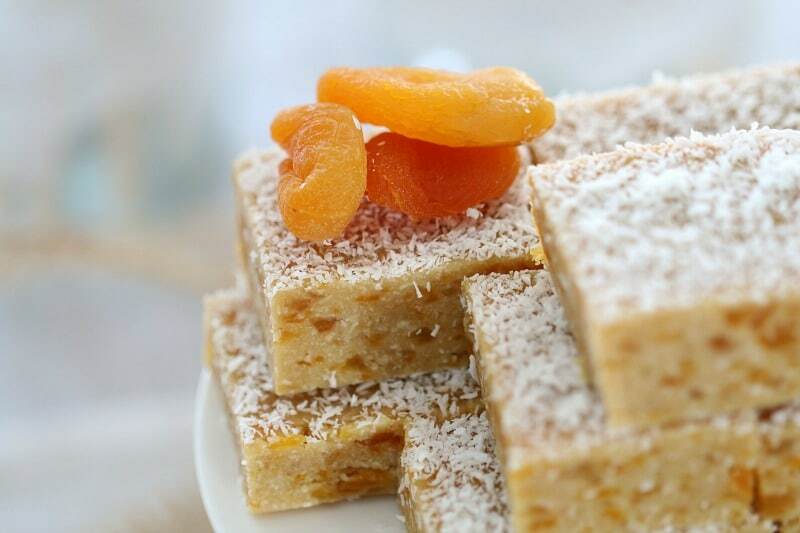 I have to say that I seriously love this classic Apricot Coconut Slice! 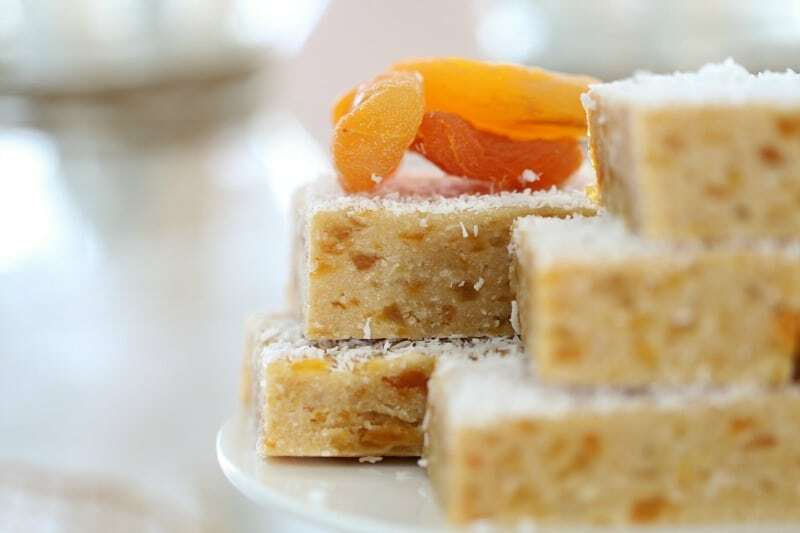 It’s based on a good old-fashioned recipe in one of the CWA cookbooks – with a few little changes! This is one of my favourite slices to make for a few reasons. 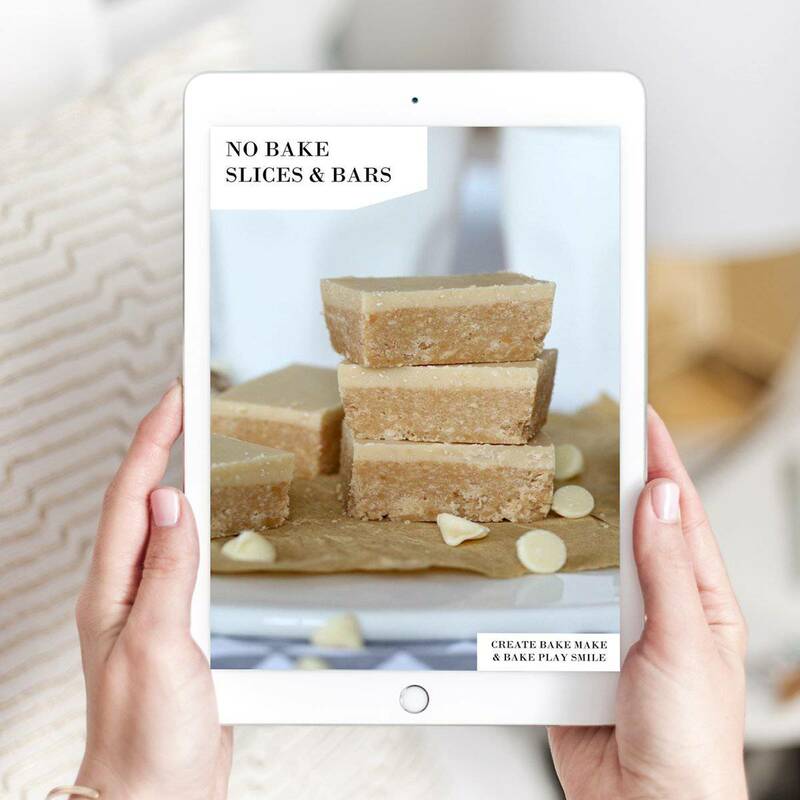 First of all, it’s completely no-bake. And I LOVE anything no-bake. 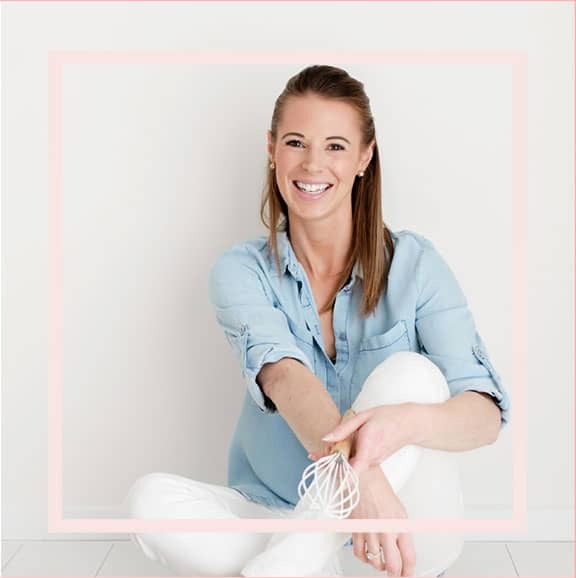 Second of all, I usually have all of the ingredients in the cupboard which means no extra trips to the supermarket – happy dance!!! If you want to try something a little different, you can always add some white chocolate chips into the mix as well. I always do that when I’m craving a chocolate fix. My thought is that the apricots totally make up for the naughty chocolate. Hehe! You can also drizzle a bit of milk chocolate over the top in place of the sprinkled coconut – that’s always a bit of fun (especially eating all of the leftover melted chocolate in the bowl!). 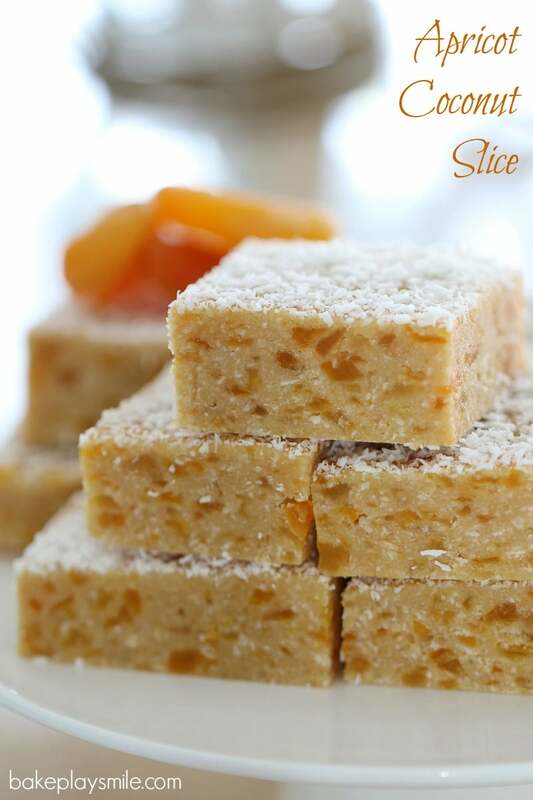 So yep, this is one super versatile and delicious slice. It’s seriously good on it’s own and just as good when you change it up a bit. I really do love a good old classic slice. This one is perfect for little lunch boxes, with a cuppa, or just as a mid-afternoon pick me up. I know I’m not the only one out there who hits the 3pm slump (like every single day). 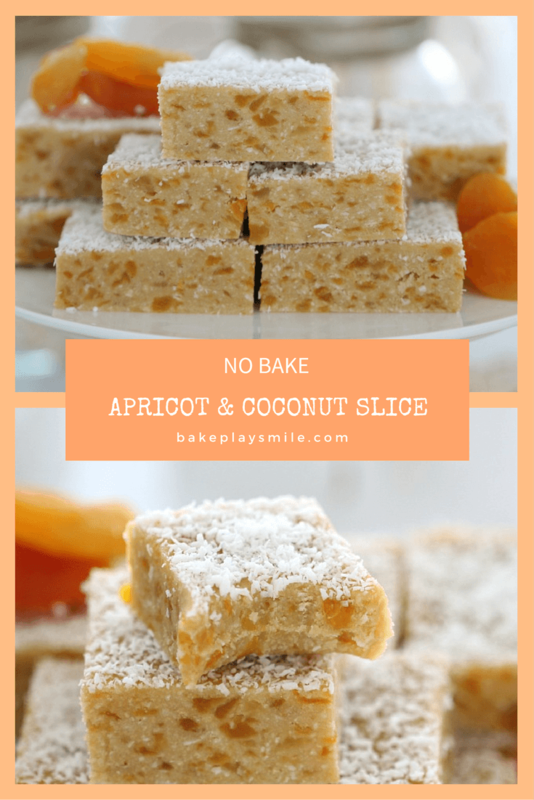 Want an Apricot Coconut Slice that is completely no-bake, takes just 5 minutes to prepare and is absolutely delicious? This is THE recipe for you! Enjoy! Grease and line a rectangular slice tray with baking paper (approximately 18X28cm). Finely crush the biscuits in a food processor (or using a rolling pin) and set aside. Roughly chop the apricots and set aside. Melt the butter and brown sugar in the microwave on 50% power for 1-2 minutes. Stir. 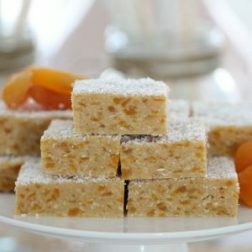 Add the crushed biscuits, chopped apricots, coconut and condensed milk to the melted butter/sugar and stir until well combined. Spoon into the prepared tray and press down firmly with a spoon. Sprinkle with extra coconut and place into the fridge for several hours. Remove from the fridge and cut into slices. Place the biscuits into the TM bowl and finely crush by holding down Turbo for 10-15 seconds. Set the biscuits aside in a separate bowl. Place the apricots into the TM bowl and chop on Turbo for 10 seconds. Add the apricots to the biscuits and set aside. Melt the butter and brown sugar in the TM bowl on 100 degrees, 2 minutes, Speed 3. 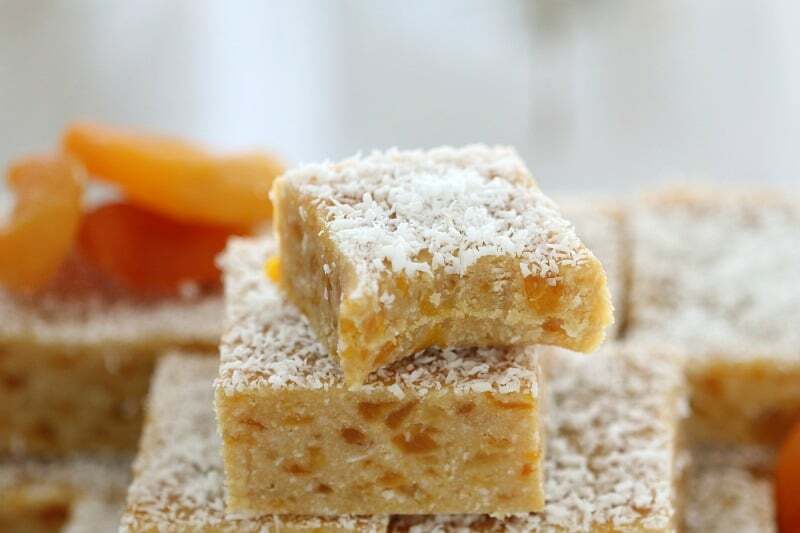 Add the crushed biscuits, chopped apricots, coconut and condensed milk to the bowl and mix together on Reverse Speed 4 for 15-20 seconds (using the spatula to help mix). 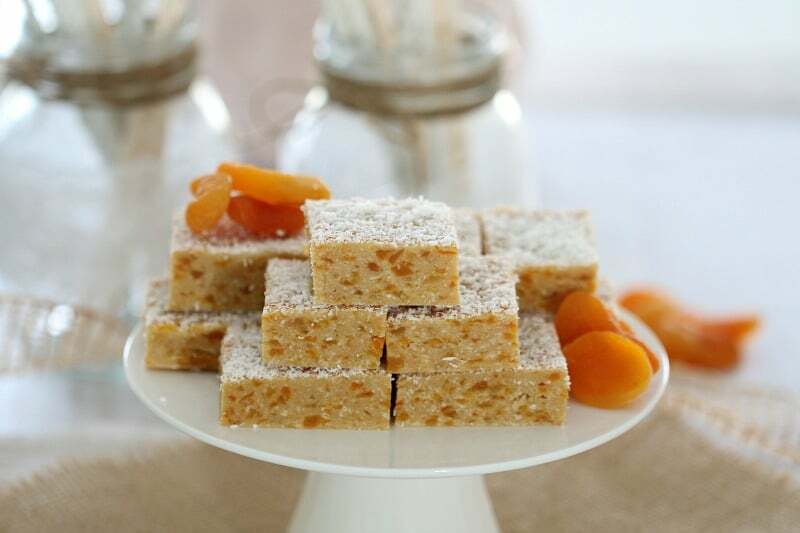 Is there a substitute for the apricots one can use? Gosh I love your recipes Lucy! 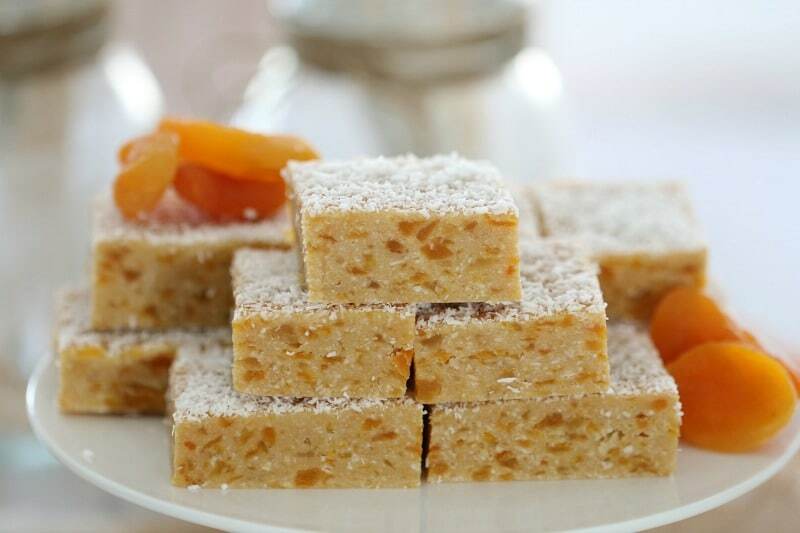 I’ve got a tonne of fresh apricots, have you tried this slice with them by any chance? Hi Mel, oh no I haven’t!!! I’m sorry!! 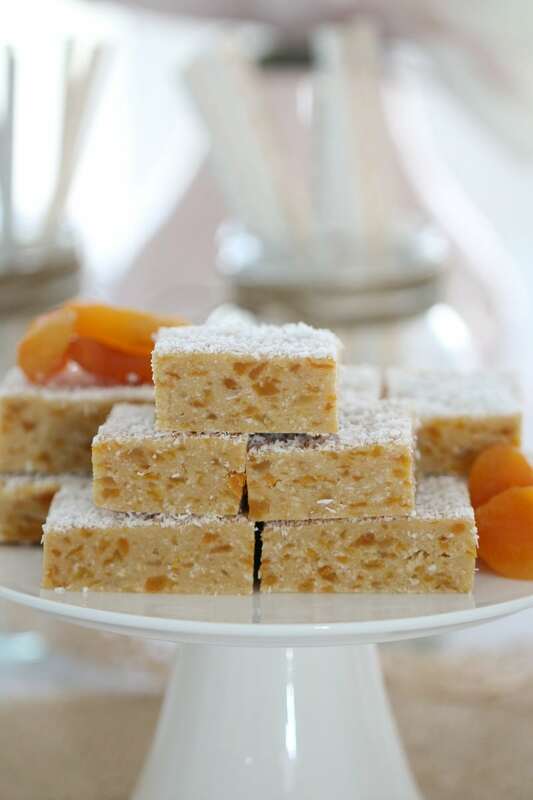 we make this with no sugar, but double the apricots…. its amazing!